Laptop Repair & Services in Ahmedabad - LAPTOP REPAIRING AHMEDABAD, LAPTOP SERVICE CENTER AHMEDABAD, LAPTOP BATTERY, LAPTOP ADAPTER CHARGER, LAPTOP KEYBOARD, LAPTOP ACCESSORIES & PARTS WHOLESALER. USED LAPTOP IN AHMEDABAD. 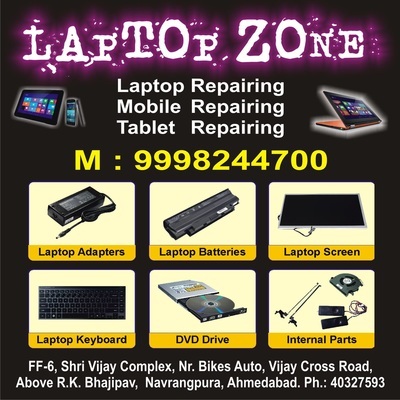 REFURBISHED LAPTOP IN AHMEDABAD. 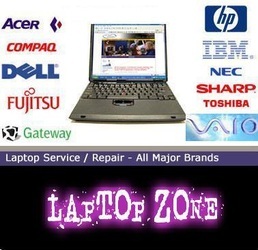 - LAPTOP REPAIRING IN AHMEDABAD LAPTOP REPAIRING IN AHMEDABAD, LAPTOP REPAIR & SERVICES IN AHMEDABAD, LAPTOP SERVICE IN AHMEDABAD, LAPTOP REPAIR IN AHMEDABAD, LAPTOP PARTS IN AHMEDABAD, LAPTOP ACCESSORIES IN AHMEDABAD, LAPTOP, SECOND HAND LAPTOP IN AHMEDABAD, LAPTOP SELL, LAPTOP BUY, USED LAPTOP IN AHMEDABAD, DELL LAPTOP REPAIRING IN AHMEDABAD, HP LAPTOP REPAIRING IN AHMEDABAD, LENOVO LAPTOP REPAIRING IN AHMEDABAD, LAPTOP REPAIRINGS, LAPTOP ACCESSORIES, LAPTOP BATTERY, LAPTOP CHARGER, LAPTOP ADAPTER, LAPTOP SERVICE, VIJAY CHAR RASTA, NAVRANGPURA, AHMEDABAD, GUJARAT. Are you planning to buy Laptop accessories (BATTERY, ADAPTER, CD/DVD DRIVE, HDD, RAM, LCD Screen, etc. 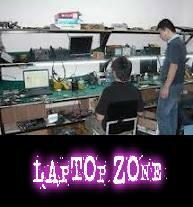 ), Repairing (Chip Level Motherboard Repairings), Used Laptops (Buy & Sale). 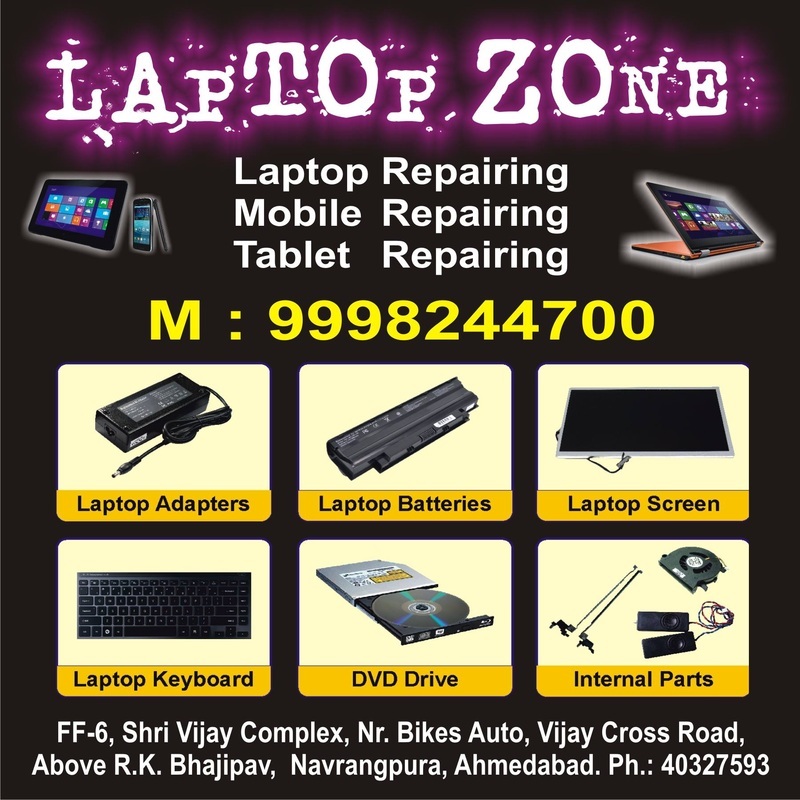 We are Leading in laptop accessories and Repairings for Dealers in allover Gujarat. We are having 11 years Experience of this field. 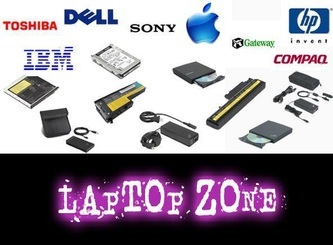 Buy a laptop accessories directly from us at Wholesale Price. You would never get this offer any where in Gujarat . We have ex-stock Laptop accessories. Vijay Cross Road, Navrangpura, Ahmedabad. Or call us for special Discounted Prices. All Images are indicative purpose only, we are not directly connected to the representative companies. The Reel Foto blog respects the privacy of the site's visitors. Any information you submit regarding your name and contact details will not be shared with other parties without your written permission.